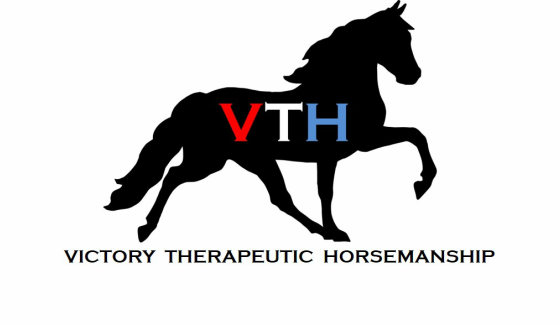 Victory Therapeutic Horsemanship is a 501(c)3 non-profit organization that was founded to provide veterans in central Pennsylvania a much needed equine therapy program. 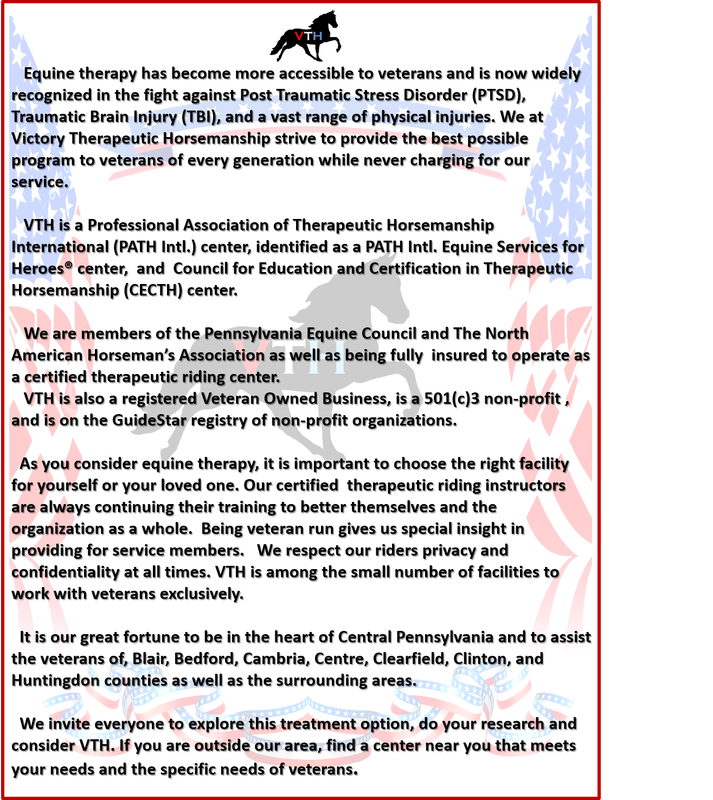 Studies have repeatedly shown that therapeutic riding has a massive positive effect on combat veterans with Post Traumatic Stress Disorder (PTSD), Traumatic Brain Injuries (TBI), and coping with pain and physical injuries. 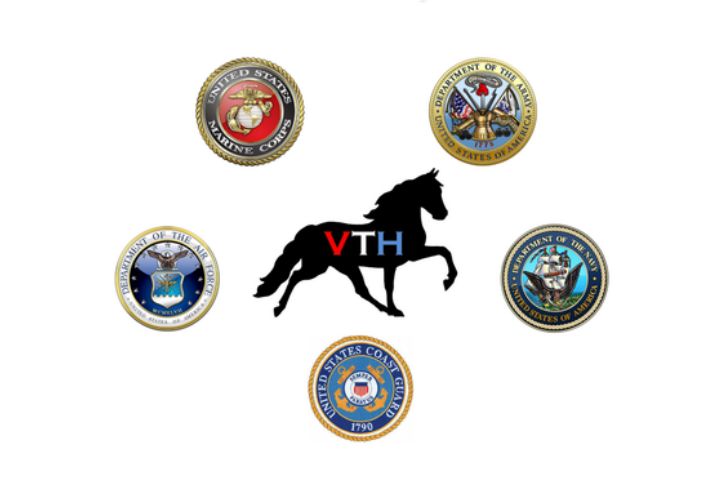 Through working with horses we aim to empower our veterans and offer a gratifying outlet in which to work through their ailments. 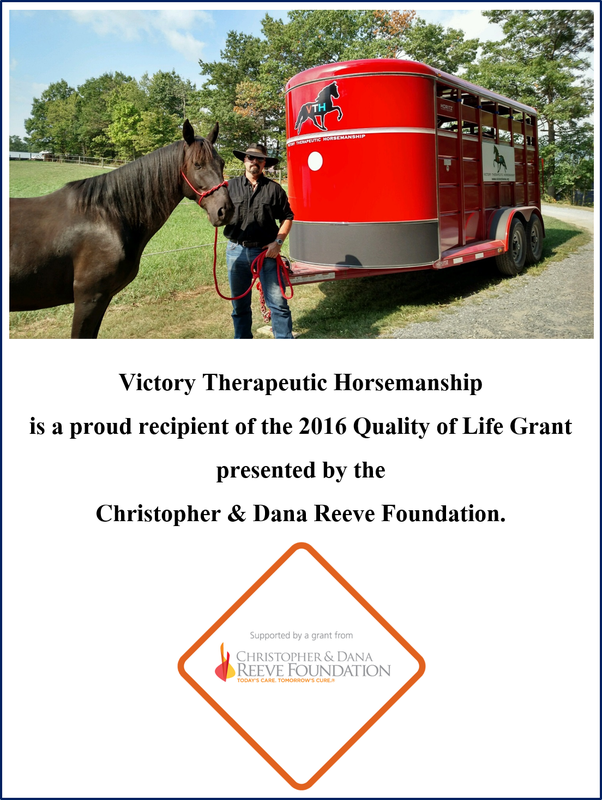 Equine therapy is proven to improve the quality of life of veterans and their families. We provide our programs at absolutely no cost; proudly serving those who served our country.